Complete strip and recover using composite roof panels, fibre cement or metal roof sheeting laid as a single skin or an insulated built-up system. 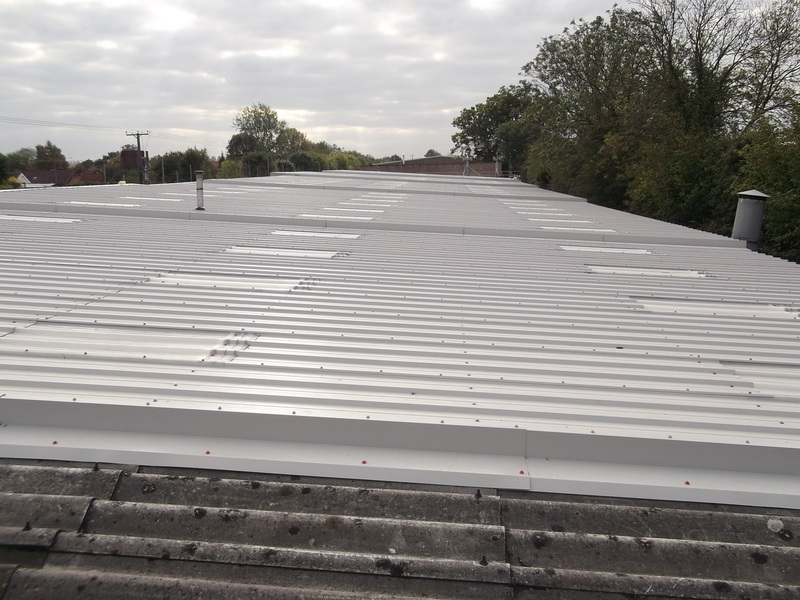 Over sheeting existing industrial roofs. Reline valley gutters using high performance felt roofing membrane, liquid applied membrane or Plygene Gutterline system. Plastic coating peel back/corroded edge treatment on metal roof sheets using the Giromax Seamsil 100 system. Roof sheet replacement or repairs.